What a wonderful holiday Monday! We hope you all had a wonderful holiday yesterday. We sure did! Our day consisted of a morning harvesting in the greenhouse, and concluded with a lovely birthday party in Toronto for our youngest niece. Our tomatoes are in full production, above is only the smallest portion of what we have been picking out of the greenhouse. Below are pictures of the three different varieties that we are currently growing. The Marbonne tomato is exceptionally sweet and a perfect slicing tomato. Where as the Pozzano tomato is what you want to make that perfect spaghetti sauce. The Pearl tomato is a grape size tomato that fits perfect in a lunch pail for a lunch time snack. 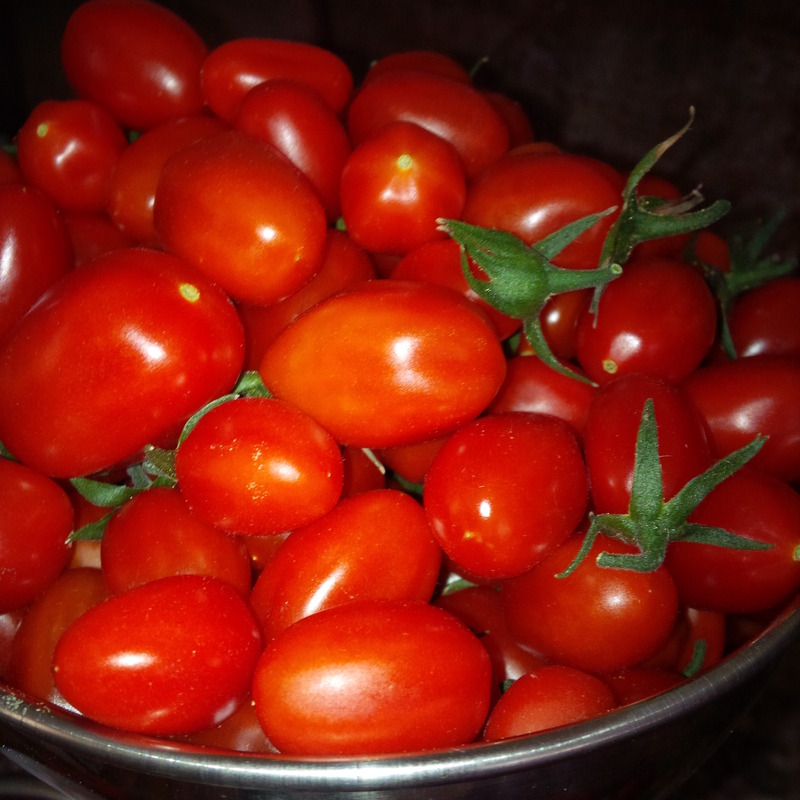 If you are in need of any tomatoes, please contact us through our contact page, we would be happy to put together an order for you.